After 4 years of playing Path of Exile I finally decided to create my first build. This build is really powerful as a Raider because you get so much damage, movement- and attack speed from your 7 frenzy charges. The Raider also provides elemental status immunity and phasing. Since ES was overhauled with 3.0, the old CI build is no longer up to date. Down below is a spoiler including the 2.6 version. Try to get as much INT, DEX and STR as possible. We need it to make ↓ effective. This new unique belt allows us to leech both life and ES! Its a great belt for hybrid builds. + Great against bosses - Hit bosses up to 5 times per Procetile! Get Ballistic Mastery, go into the Duelist area and get Vitality Void and life for leveling. Get Art of the Gladiator, Trickery and more life. This is how I leveled my char and it was very smooth and fast. Try to get some ES gear, you will need it with level 67+ if you want to respec into CI. Start as a Ranger and equip your Goldrim, Wanderslust and Lochtonial Caress. Get Frost Blades as your Hillok reward and use it until you killed Brutus. Now you should equip your Tabula Rasa and swap to Spectral Throw, link it to Lesser Multiple Projectiles and Added Cold Damage. At level 22 you can equip your Astramentis and both Hand of Thought and Motion, this will carry you until level 68 where you just have to upgrade your claws into HoWA with 1x Blessing of Esh. Act 2: you will get Faster Attacks and Weapon Elemental Damage just add it to your setup. Act 3: Do your library quest to unlock every gem you need (except for Enlighten) from Siosa, here you can remove your Added Cold Damage gem and add Lightning Penetration and Elemental Focus. Act 4: Swap Greater Multiple Projectiles for Lesser Multiple Projectiles and dont forget your Slower Projectiles gem against bosses. You will oneshot everything anyway but you will need it later. 2 Skillpoints are way better than 6% attack and movementspeed from Kratlyn, which would be the second best choice. Nothing to say here, this build wont work without this Claw. Try to get 11%+ intelligence on it. Get it 2 times. Get an ES-based helmet with INT, life, resist if possible. The entchant "30% reduced Spectral Throw Projectile Deceleration" lets you hit bosses up to 5 times PER Projectile. Try to get this entchant, its awesome against bosses and for clearspeed! Get an ES-based chest with INT, life, resist. You will need 200 chromatics on average for GGBBRR sockets. Great Gloves :) Get "Curse enemies with Elemental Weakness on hit" if possible. Get an ES-based helmet with INT, life, resist. Movement Speed isnt too important since we are using Whirling Blades. Flat Lightning Damage or 10% elemental penetration as your entchant. Great Belt for hybrid builds, get high Int. Astramentis is a very good item for this build especially for Shapers Touch, it gives you up to 116 INT/DEX and STR. You also dont need to care about your gem/gear requirements. A very good rare Amulet with Elemental Damage with Attacks, 90+ INT and ES can be better. Get your missing resists, life, Weapon Elemental Damage and INT. Atziris Promise is great for extra Chaos Damage and life leech. Thats a very cheap and very good flask. 10-15% Lightning Penetration if your lightning resistance is the highest of all 3. Try to get the same amount of uncapped fire, cold and lightning resist. For example: If you have 140% fire, 140% cold and 140% lightning resist, you will get the offensive and the defensive buff of every element. Onslaught and Anti-curse flask. Onslaught: 20% movement-, attack- and castspeed. Jade Flask gives us 3000 flat Evasion, this will boost us up to 50%+ chance to evade since we have so much %evasion. You will have 6 Jewel sockets. Atziri - <0,5 sec Vaal kill! Temporal Chains: this slows your attack and movementspeed down, annoying but you can run it. No life/mana leech: You can run this mod using a mana flask until t14 maps. I recommend to reroll this mod if your gear isnt that good or if you want to run t15+ maps. A lot of people like to run shaped dunes/shaped strand/shaped spider forest/shaped shore all day long to farm currency and level up very fast. In this short guide I want to show you how this works. t10 - t13: Do you want to farm currency or level? The best way to farm currency right now (if you dont want to flip) is to run shaped spider forest with 1 white and 2 yellow sextants and a breach, onslaught and nemesis leaguestone. This map can drop a "the doctor" divination card (8 cards for an headhunter). You can also farm yellow Dunes/Strand maps with a Breach Leaguestone to get some nice currency AND xp. t13: The only t13 map you want to have is shaped shore. The t11 boss can drop t13 maps. 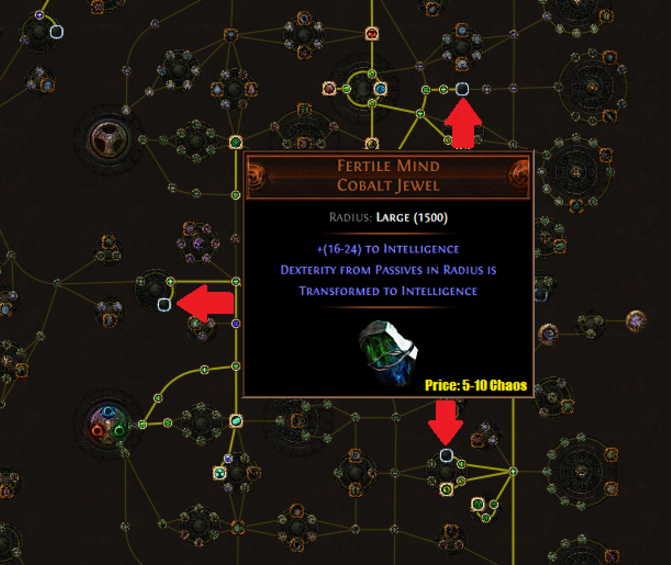 The best way to level up very fast right now is to run shaped shore with 4 yellow and 1 red sextant and a bloodlines, beyond, nemesis leaguestone and the map device beyond mod. If your gear isnt good enough you should farm shaped dunes/strand without sextants. t13: The only t13 map you want to have is shaped shore. The t11 boss can also drop t13 maps. Feel free to ask me anything about the build ingame or here in this thread. Hey Guys, after 4 years of playing Path of Exile I finally decided to create my first build. This build is really powerful as a Raider because you get so much damage, movement- and attack speed from your 8 frenzy charges. The Raider also provides elemental status immunity and phasing. With this build you can clear maps and kill any boss in this game very fast and safe, If you know what to do of course. Go into the Shadow area and get Coldhearted Calculation and life for leveling. Go into the Duelist start area and get Art of the Gladiator and more life. Level ~68 AFTER CI Respec all your life[/b] and skill CI, if you have 4000+ Energyshield from Gear. Nothing to say here, this build wont work without this Claw. Try to get 11%+ intelligence on it. Here you want at least 300 ES, resist and INT, accuracy is great too if you dont have some on your rings.40% increased spectral throw damage is the best entchant. Get at least 700 ES and INT on this. A 5link will work but I recommend to get a 6link. This can cost you some chromatics, since you want 3green and 1 red socket on an INT based Item. Get at least 120 ES, INT and some resists here. Get at least 150 ES and as much INT and resists as possible again. You dont need movement speed here since we are using whirling Blades 95% of the time. The Raider gets a lot of movement speed anyway if you really want it.16% increased attack speed or 10% elemental penetration as your entchant. Crystal Belts are best in slot here, get resists, Elemental Damage with Attacks and of course INT. With decent gear, 40 INT will give you more ES then 40 flat ES. Astramentis is a very good item for this build, it gives you up to 116 INT and thats what we really need for this build. Also you dont need to care about your gem/gear requirements. DEX is also nice for our claws (2% attack speed per 25 dex). A very good rare Amulet with Elemental Damage with Attacks, 90+ INT and ES can be better, but then you will need strength and dexterity somewhere else. Get your missing resists, Weapon Elemental Damage, 250+ accuracy on 1 item and INT. ES is good too. Vessel of Vinktar provides you great leech and extra damage. This flask shocks you and nearby enemies (shock = 50% increased damage taken from all sources). But since we are a Raider, we are immune to status ailments which includes shock. 10% Penetrations is also great. This Flask will give you 6% max. lightning resistance, use it against enemies with elemental reflect. Thats a very cheap and very good flask. 20% Lightning Penetration if your lightning resistance is the highest of all 3. Try to get the same amount of uncapped fire, cold and lightning resist. For example: you have 140% fire, 140% cold and 140% lightning resist, you will get the offensive and the defensive buff of every element. Onslaught and Anti-freeze Flask. Onslaught: 20% movement-, attack- and castspeed. This mana flask here is just a quality of life thing, its nice for maps without mana regeneration and 5 uses with anti-bleed is great too. With this build you will have 6 Jewel sockets. Try to get 3x Fertile Mind jewels. You can look into the Skilltree section for more informations about them. Is Unwavering Stance really worth it? It definitely is. Stun immuntiy is so important for this build and most of the other CI builds since so many things can stunlock you to death. Some good examples are Esh's orbs, Xoph's pillars and the Shaper's golden projectiles, each one of these attacks will stun you to death if you get hit by any of that once. 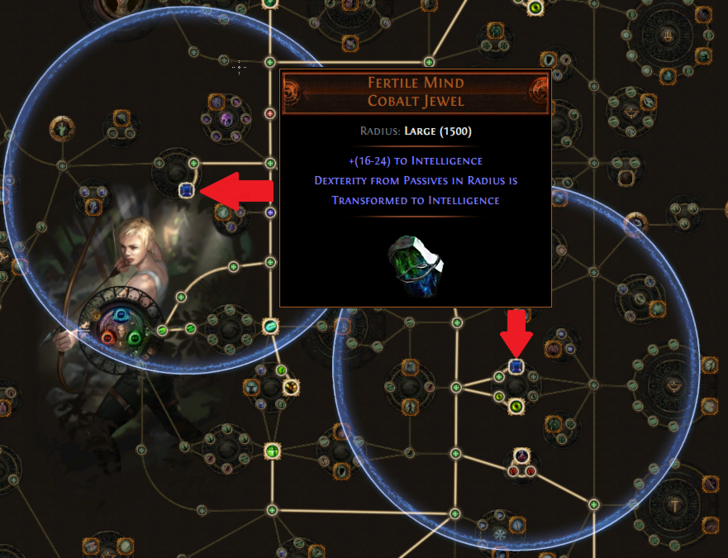 Also the way to this keystone isnt wasted since we can convert a lot of strength to int and can get the +30 int node. I highly recommend to get Unwavering Stance. - Reworked the whole guide. I tried a HoWA build in Breach and I failed massively. Looking to try it again in Legacy. What kind of content would the budget version be able to do? 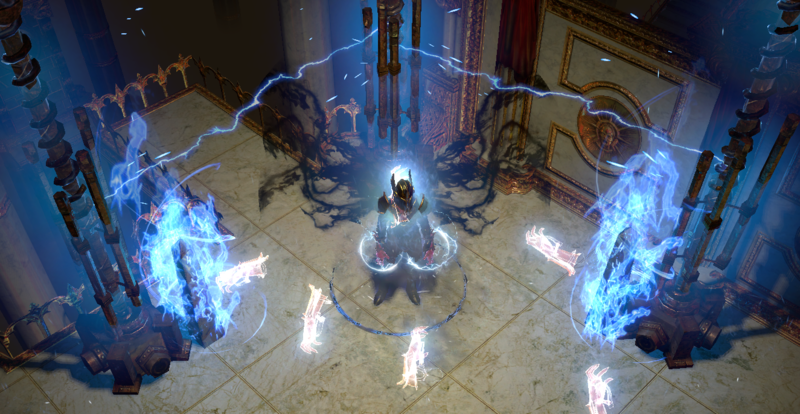 they budget version (less than 10ex) can easily take down the shaper too. Of course you need to know how the fight works, to do that. For maps like T15 and lower, you really dont need good gear. Just get about 800-1000 Int and 8k ES for that, and you will be fine. Do you have any idea why your last HoWA build failed? Awesome. I have about 5ex budget so I'm not sure what to skimp on! 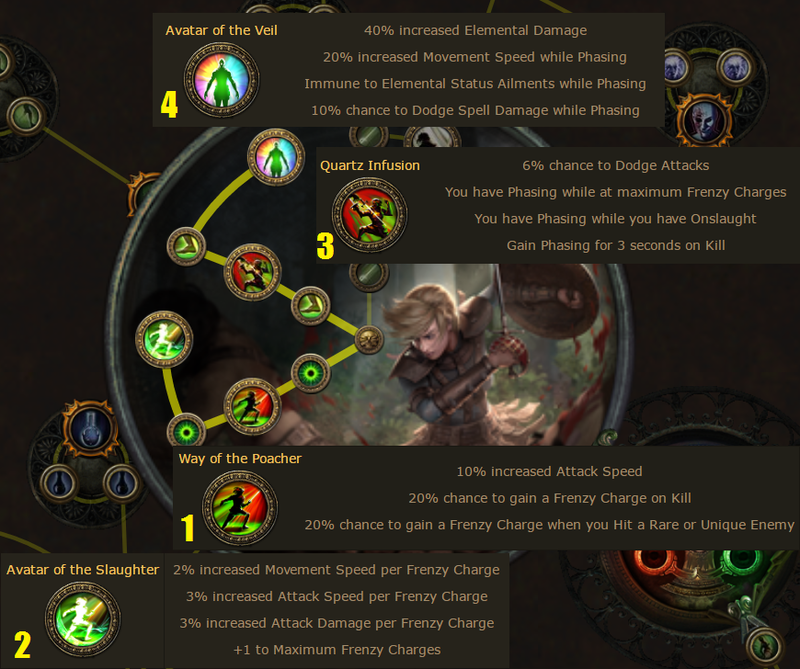 I'm currently leveling a character to try this build, did you just use Hands of Thought and Motion until you could use HoWA? I had even less money to spend when I tried HoWA the last time, so I was quite squishy and didn't have vinktars. The damage was ok, but the survivability was awful. Hey :) I just finished the first video. I will upload a shaper kill and some other boss videos until tomorrow. I would recommend to get an Astramentis (60-65c), thats great for leveling if you are using mini HoWA and you dont need to care about strength and dex. This build works so good ! Iam glad to hear that!